One of the most popular television sets compared to ultra large ones is the 55-inch TV. The fantastic thing is with the latest technology you can find a model packed with the best features to suit your needs. The models are affordable and perfectly sized for a small to big room for the best theater experience. The majority of sets support 4K and HDR with loads of smart services included. You can stream and watch your favorite content directly from your PC or phone. Depending on your needs you can find one to work with your Blu-Ray, stream shows, play video games and use it as a PC monitor. 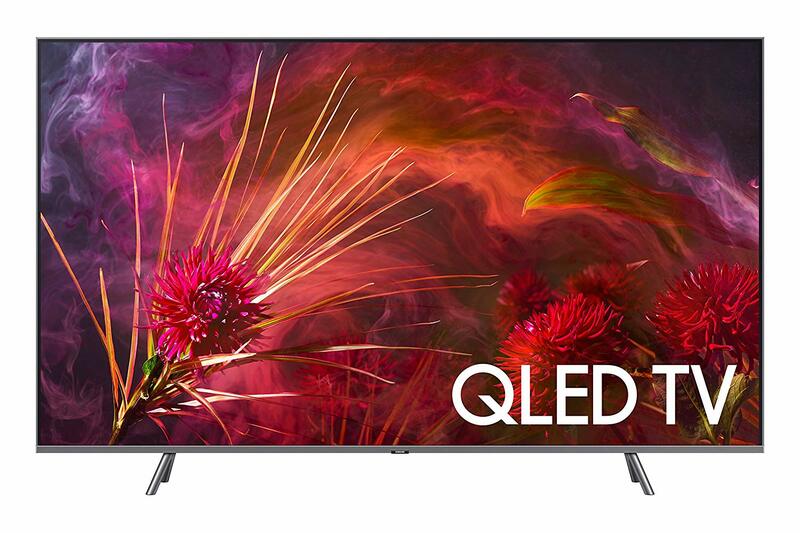 Whether you need an OLED TV with fantastic black levels or a bright LCD one you can find one reviewed here. However, before you pick one make sure to check the features as well. The 55-inch TV from TCL offers you a premium picture with the Dolby Vision HDR. You see accurate colors with a superior contrast with a vast color space. 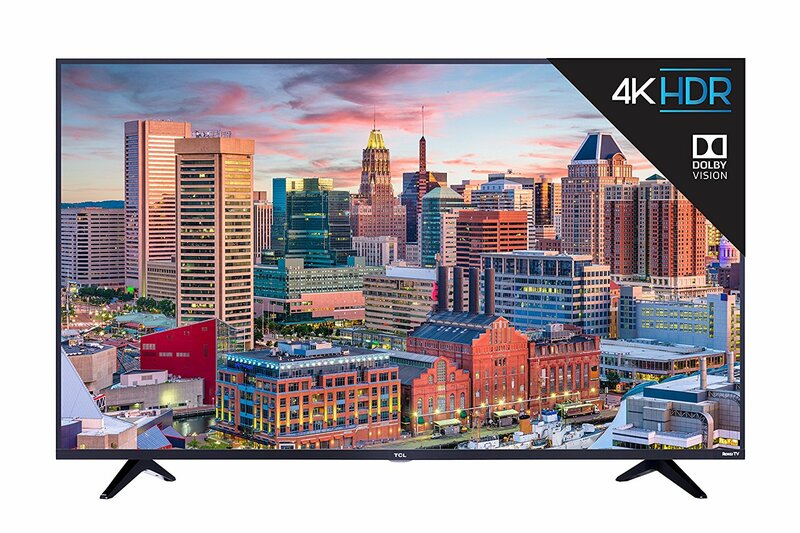 The screen size is 55-inches and available in other formats as well — the resolutions 4K Ultra HD with a refresh rate of 120Hz CMI. You can stream different channels online with the smart functionality available in the set. Further, it has Edge LED backlighting with deeper blacks and outstanding picture quality. There are three HDMI inputs (one with HDCP 2.2 and one with HDMI ARC), one USB, RF, Composite, Optical Audio Out, Ethernet, and a headphone jack. Further, you get free technical support for 60-days, and it supports HDR10. To make sure you are completely covered you get a one-year warranty as well. Here we have another 55-inch TV from TCL and is a budget-pick for the year. The entry-level set is perfect for any new home starter and takes up little space. The low input lag is ideal for gamers, and you can enjoy watching sports with the low motion blur. The contrast offers deep blacks, and the smart functionality offers you Roku TV to stream movies and more without ads. You get a quality picture with the direct-lit LED. You can connect it to Wi-Fi on your home network or the internet. There are three HDMI 2.0 with one HDMI ARC & HDCP 2.2, Optical Audio Out, one USB, headphone, composite, and Ethernet inputs. The panel resolutions 3840 x 2160 and it has a refresh rate of 120Hz to watch fast-moving movies. You can download the mobile app and turn your smart devices into a full function Roku remote with voice control. Included you get a TV remote with twenty buttons, and it supports HDR10. For another best budget 55-inch TV, you guess ed right it is the TCL 55R617 2018 model. You get a stunning performance with the 4K HDR and Roku OS smart platform. The brushed metal design looks attractive and supports Dolby Vision for excellent contrast and brightness. The color palette is vast, offers vibrant colors, and optimizes images individually with the Contrast Control Zone. The results amazing to enjoy a striking contrast between light and dark areas. The color reproductions precise all made possible with the iPQ Engine with HDR Pro Gamma system. The Roku platform connects to the cable box, Blu-Ray Player, or a gaming console. You can control the set with your voice and stream over thousands of content with Roku TV. Furthermore, it has LED backlighting with local dimming and zone control. To connect external devices, you get three by HDMI 2.0, one HDMI ARC, one USB, headphone jack, Optical Audio Out, RF, and one Ethernet input. For gamers, the televisions highly recommended as it has a low impact lag and you can enjoy watching action movies and play HDR games. Do you need a TV for gaming? It would help if you had the 55-inch TV from Samsung. The set includes some fantastic gaming features you will not want to miss. The television allows you to adjust the display frame rate, the output of your console/PC and has a low input lag with auto latency mode. The television supports HDR Plus, and the motion rate is 240 that is ideal for watching sports as well. The smart platform offers you an intuitive experience and comes with a Bixby assistant. The brightness is excellent and has an ultra-slim array structure for brighter whites and deeper blacks. You get a wider color gamut with the Dynamic Crystal Color HDTV, and the cable solution system leaves it looking clutter-free. The 360-degree design allows you to watch the screen from any angle. You find all the inputs on the side panel, and it has a Wi-Fi connection. 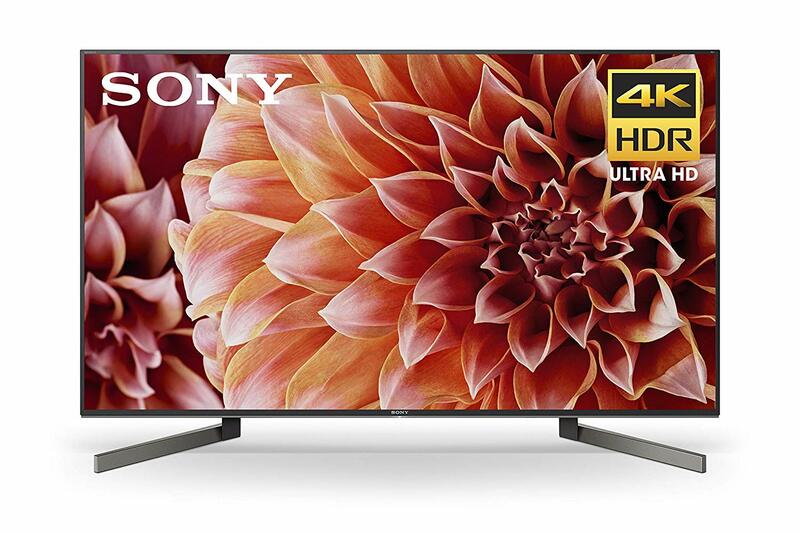 Here we have the mid-range 55-inch TV from Sony. For 2018, it is the best the best TV to take you into 2019 and the future. 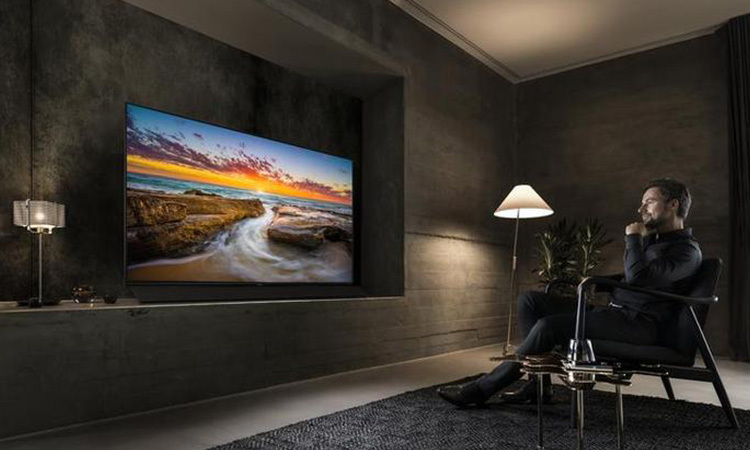 The direct-lit LCD screen offers you local dimming, and the performance is the same as an OLED when it comes to black colors. The HDR and SDR picture quality is excellent and provides you stunning clarity with a high dynamic range of colors. You get a Freeview HD tuner and a powerful video processing engine for precise control of the brightness and contrast. You can watch on-screen action and use it for gaming. 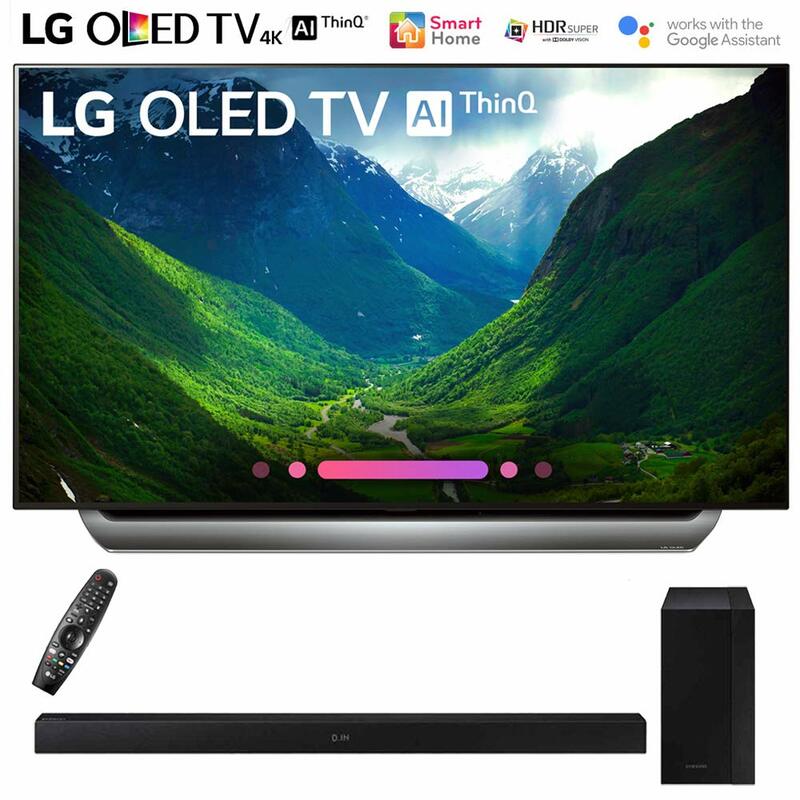 The set is compatible with Amazon Alexa and Google Home to connect compatible devices to control the TV using your voice. Included is a voice remote control with IR blaster and offers you smart functioning with the Android TV OS for streaming content. Further, it supports Dolby Vision and is Wi-Fi connectable. 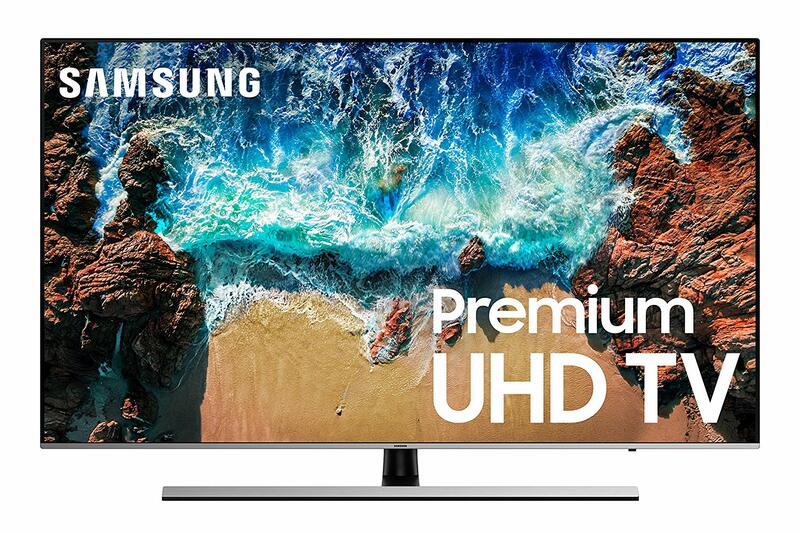 For watching movies in dark rooms, the 55-inch TV from Samsung is perfect. You can use it in bright-lit rooms as well and excellent for the conference room. Further, gamers will be pleased to hear that the set supports the latest gaming technologies. The television has a low latency mode with variable refresh rate and the motion handlings well. You get a 360-degree view, and the design has no bezels on it. You can make it stand or mount it to the wall. The Q Style cable system keeps wires hidden away for a clutter-free display. You can use it ambient mode to display decorative content and listen to music. Furthermore, you can control the set with your voice with the Bixby Voice feature all done via one remote. With the SmartThings app, you can pair your smart devices to share media and control the TV. Here we have last year’s flagship 55-inch TV from Sony the BRAVIA OLED model. You get the best 4K upscaling using the set. The ultra-thin screen looks stylish and offers you lifelike picture quality like never before. Included is a Freeview HD tuner and has immersive sound with the rear-mounted speakers. The viewing angles wide and you can watch sports and movies blur-free with the Motion Flow XR feature. The processor is compelling to watch HD and 4K content. You can use it with Alexa to control the set with your voice and has a built-in wireless connection. Further, Android TV offering you access to stream content and comes with a handy voice controlled remote. The 55-inch TV reviewed here from LG might be a 2017 model but remains a tremendous entry-level set. You get an OLED panel with 4K UHD resolution, and the Freeview Play and Freeview Satellite Tuners included. The smart television runs on WebOS 33.5, and you can connect it with your home network. The contrast and details fantastic when displayed in HDR and the image clarity is excellent. The design is sleek and looks attractive with home décor. You can view all three HDR formats from HLG, HDR10, and Dolby Vision. The remote has an intuitive design with dedicated buttons for Netflix and Amazon. Further, it comes with preset options to play games, view movies in cinema mode, and room. For conference rooms, it offers ISF for dark places and ISF function for bright rooms. 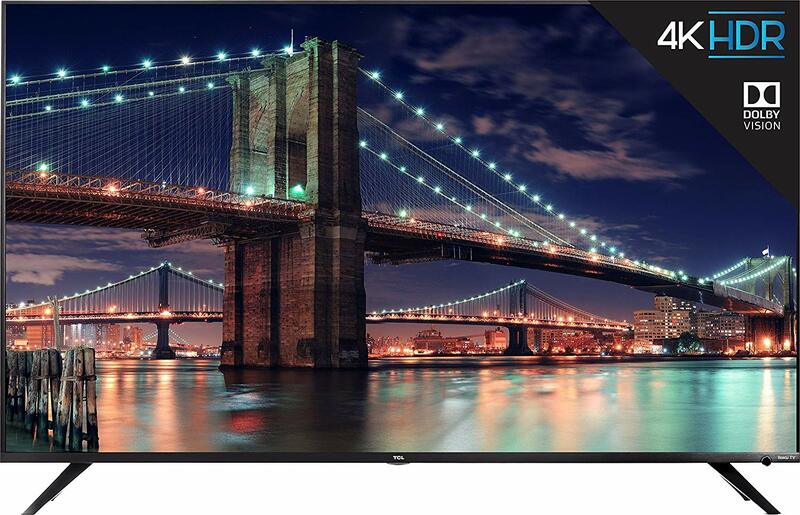 For the best overall 55-inch TV, look at the Class B8 series from LG. The television offers you the versatility to use it in total darkness and bright-lit rooms. All this made possible with the self-emissive technology that adjusts the pixels to light or dark. You get a wide angle of viewing with perfect black uniformity and contrast ratio. Whether you prefer watching HDR movies, sports, TV, gaming, or want to use it as a PC monitor, this is the one to have. There is no motion blur with games or fast action movies offering the best viewing experience. The style fits in with any décor and is narrow to fit on any table. You can mount the set to the wall, and the inputs are accessible on the side. Further, the television runs cool and does not overheat. You can display 480p, 720p, and 1080p content with no issues. To add to the fantastic features, it has the Google Assistant built-in to control it using the LG Magic Remote. You can use it with the Amazon Alexa as well. Even the sounds amazing with the Dolby Atmos Technology to enjoy a theater experience in the comfort of your home. You can use it with different devices connected with loads of inputs and outputs. Furthermore, the smart TV uses WebOS v4.0 and comes with preinstalled apps. The picture quality is perfect, and the performance is excellent. Works with HDR formats, streaming content, watching movies, and playing games. 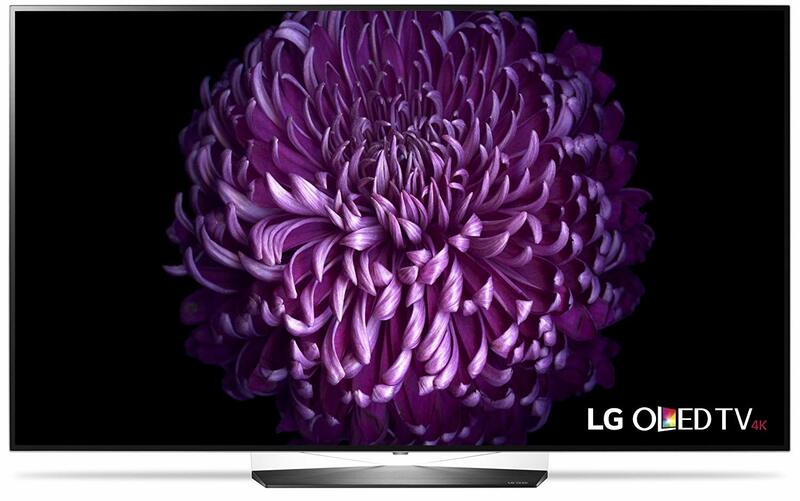 For the best 55-inch TV to buy you can look at the Class C8 set from LG. 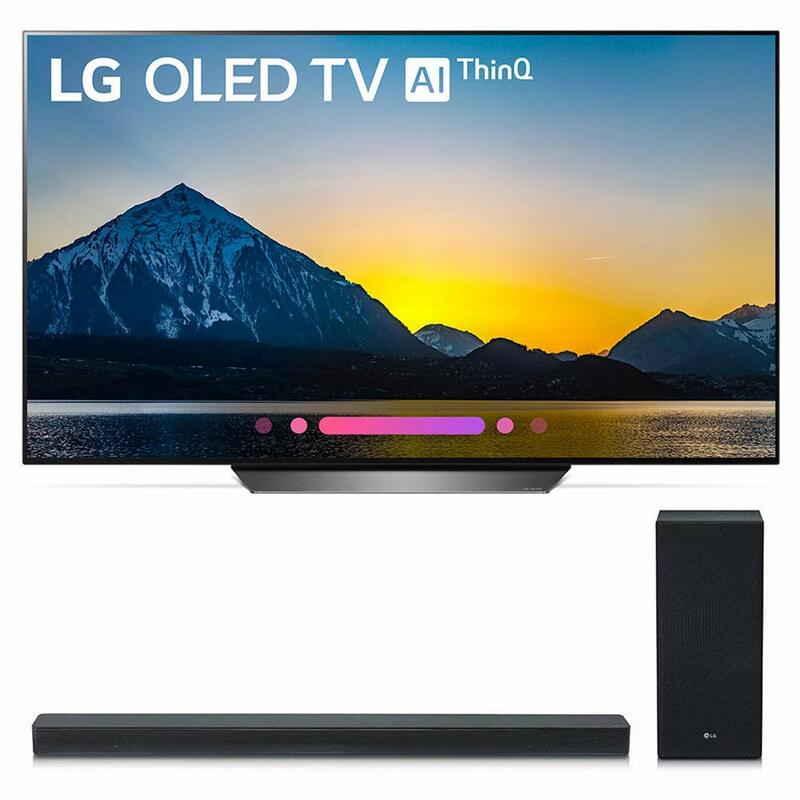 The set has a 9 Intelligent Processor with LG ThinQ AI. With both of the functions, you can view movies with vibrant and sharp colors. The self-illuminating pixels offer you darker black and bright colors when needed the most. Included you get Dolby Vision HDR for the best cinema experience at home, and you can watch all three HDR formats. The sounds are excellent with the Home Atmos Dolby system offering you the best surround sound. The sleek construction fits in mounted to a wall or standing on a table with most décor found in the home. Furthermore, you get an LG USA Warranty, Magic Remote Control, and power cable. Further, it comes with a sound bar, satellite speakers, and subwoofer. Which 55-Inch TV Do You Like? 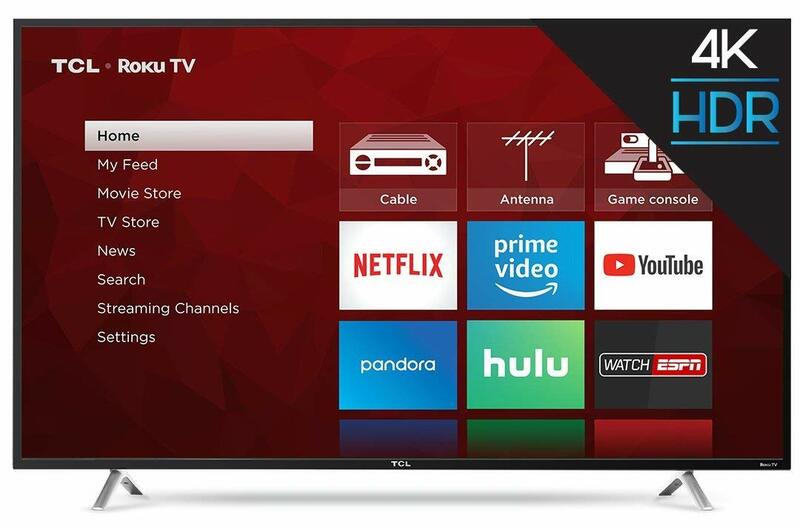 We hope that you found a favorite on our list of the best 55-inch TVs for 2018/2019. The TV set with 55-inch display remains one of the most liked televisions available on the market. You can find budget-friendly to entry-level models with amazing features to use in the conference room to the home. No matter which one you like, the picture quality and viewing experience offered by each model is the best. 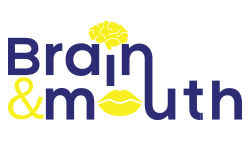 So pick one and start streaming content using your smartphone and the best of all the majority are voice controlled.